You can invite people to join your Workspace in under a minute. Click on the + button near the members in the left menu of the selected workspace, enter your new team member's email address and click send. The person you invited will receive the email in a few instants and can join you to accomplish more together. You can also invite people by sharing them a public link. If you are the administrator, head to the workspace settings and copy the public link. 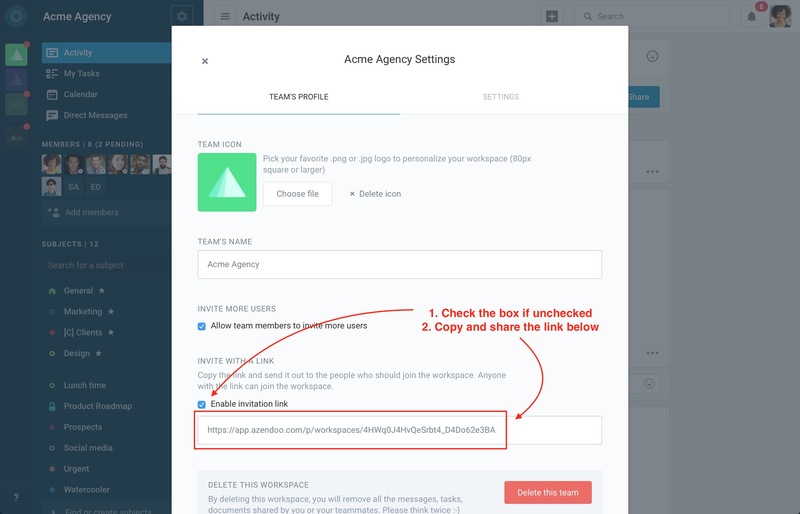 Then paste the link on an email to all the team members you want to invite at once!